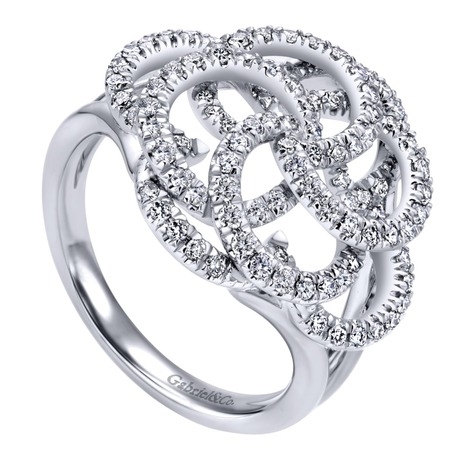 This 14k white gold mystic wheel diamond fashion ring comes with gorgeous round brilliant diamonds, fully equipped to hypnotize anyone who lays their eyes on this dynamic and engaging diamond fashion ring. 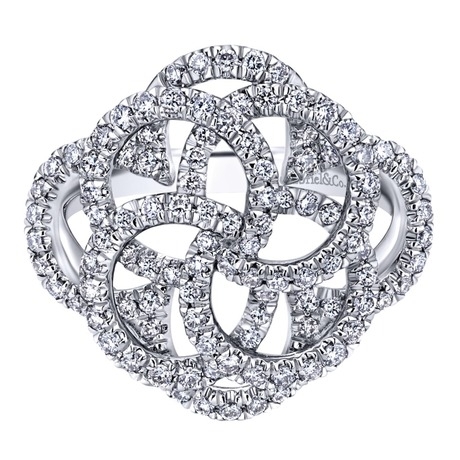 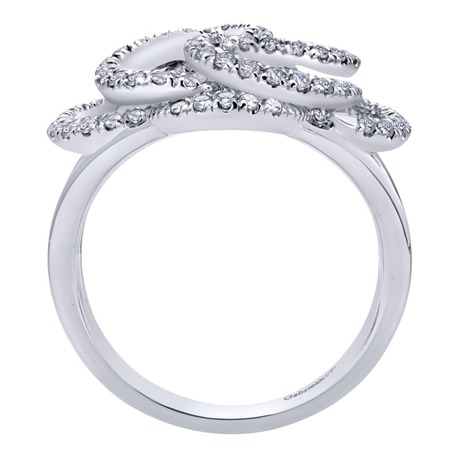 This diamond fashion ring is as unforgettable as it is hypnotic. 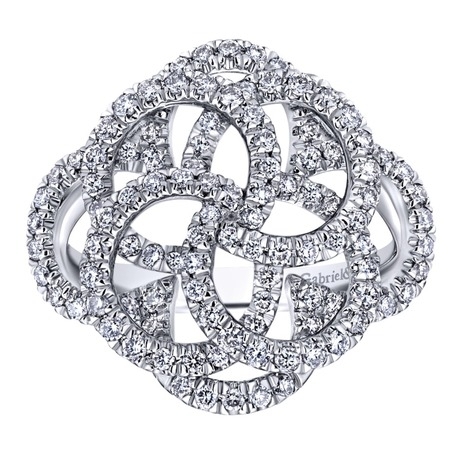 Peer at the round brilliant diamonds and get lost in the mystic spirals created by the artist in this 14k white gold and diamond fashion ring.